The Depot, Saturday Jan. 29: Slash white-knuckles into the world of horror films. 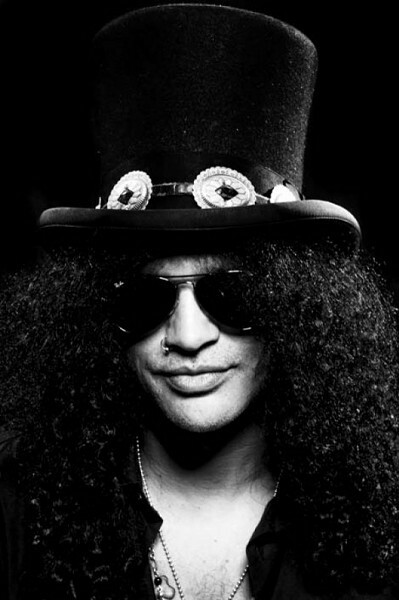 Slash doesn’t know if he should introduce himself as a movie producer or a guitarist these days. The confusion began about a year ago. During a conversation with producer Rob Eric (Trans-Siberian, Session 9) of Scout Productions, the guitar-shredding former member of Guns N’ Roses and Velvet Revolver proved his prowess as an aficionado of horror movies—a lifetime love. Eric called Slash the next morning and proposed a joint venture. During the first weekend of the Sundance Film Festival, Slash and Eric and Michael Williams, also of Scout Productions, officially announced the launch of Slasher Films, a film-production company focusing on cerebral horror flicks. Slash articulated their intent as “to not reinvent, but to re-imagine dramatic, character-driven horror films—something that’s a little more in-depth than what the past two decades of horror movies have [seen] as the norm in the mainstream—and bring back a level of sophistication,” Slash said. Their first release, Nothing to Fear, will be filmed this summer with a release in late 2011. The tale follows a God-fearing Catholic-American family lured to a small town. To their peril, the town is one of the seven gates of hell and home to a bloodlust demon whose hunger must be satiated once a year in a sacrifice. Wake the Dead is slated for release next. It’s a re-imagining of Frankenstein based on Steve Niles’ graphic novel, with Jay Russell slated to direct; Theorum and The Other Kingdom will follow. “These are films that horror fans would want to see and could become iconic,” Eric said, nodding to classics like The House of the Devil, The Descent and The Strangers. Not merely attaching his name to the company for hype’s sake, Slash will be hands-on with most facets of production, like amending scripts, choosing directors and discussing special effects. “I have no interest in acting,” Slash said, with a laugh, adding he also has little interest, at this point, in directing, like other musical crossovers like Rob Zombie. “I want to realize a really good film and just sit in the background.” However, Slash expressed the potential of composing scores. 2009 saw his first scoring foray with independent, low-budget This is Not a Movie. So, it seems as though Slash can safely call himself both a producer and a musician, especially because he’s still riding high with his Billboard-topping 2010 debut solo album, Slash. Lacking a decent set of lungs, Slash gathered an entourage of guest vocalists—Ozzy Osbourne, Iggy Pop, Chris Cornell, Dave Grohl and Myles Kennedy, among others—for the album’s 14 tracks. On his album, unlike his fresh territorial ventures into movies, Slash sticks to the grinding pop-metal that made him famous. While not unpleasant, the album doesn’t quite have the white-knuckle-gripping feel that creeps and lingers like a quality horror film. Saturday Jan. 29, 8:30 p.m.